It was December 5th, 1933 when the twenty-first amendment was ratified, a joyous day that ended the oppression of alcoholic freedom. For 13, almost 14, long years the United States prohibited the production, transport and sale of intoxicating liquors for any use other than medical or religious. I’m guessing there were no Friday night keggers at the frat houses. This was an era when it was good to be Catholic, so you could at least get the occasional sip of wine; or have a medical condition that required booze, though I can’t imagine a doctor prescribing tequila shots for any ailment. Prohibition led to an overextension of the police and law enforcement agencies, an increase in organized crime and a nation that wept for the occasion pint of brew or well-crafted cocktail. I actually had a great-grandfather who spent a number of years in prison in northern Maine for bootlegging during prohibition. I’m not sure of the exact terms of his crime or incarceration, but some stones are best left unturned. But thankfully the United States decided to let us once again legally enjoy alcoholic beverages, well those of us that are over 21. Take that youth of America, sometimes it pays to be old. 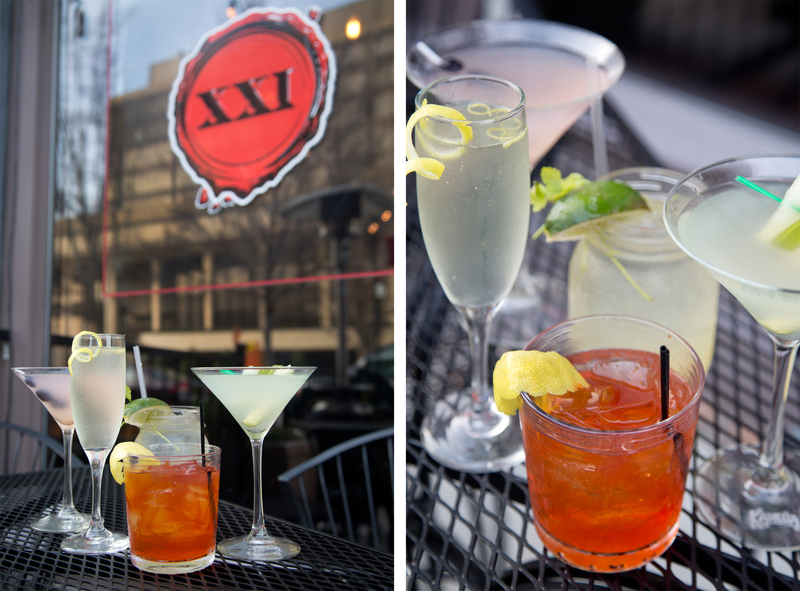 Several weeks ago I had the pleasure of photographing a Huntsville, Alabama bar and lounge, aptly named, Amendment XXI, for Huntsville’s Event Magazine. I had so many photos, (classic photographer, taking exponentially more than needed) that we decided to feature Amendment XXI in a blog post. For more photos and recipes pick up your free copy of Event Magazine today or you can view it online. My article is on page 44. 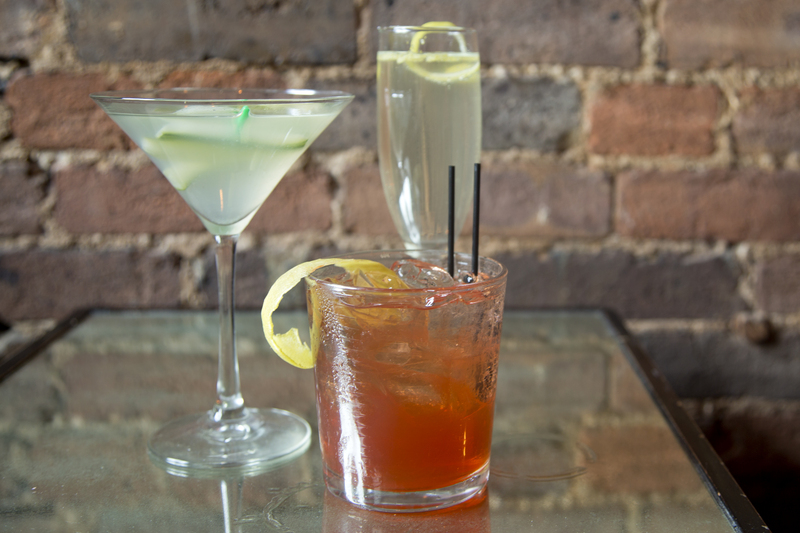 Being at the heart of downtown Huntsville, Amendment XXI is a fun place to hangout and people watch. 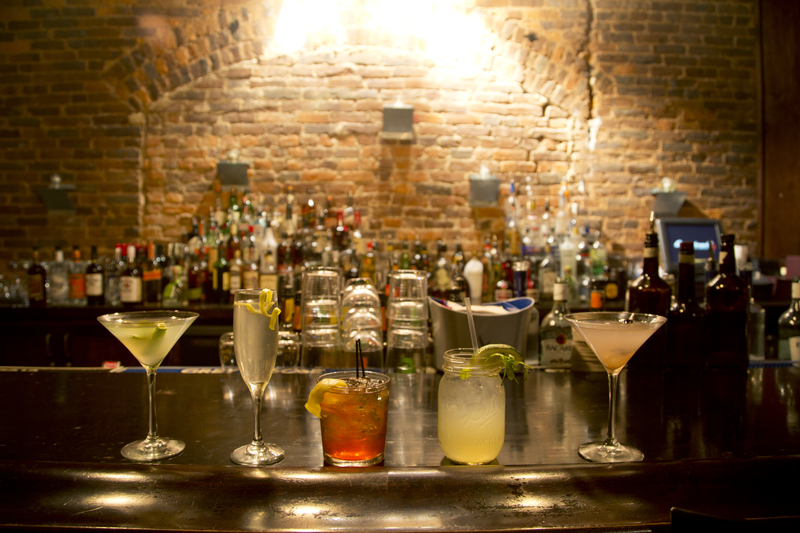 It is also a great place for delicious, handcrafted cocktails. 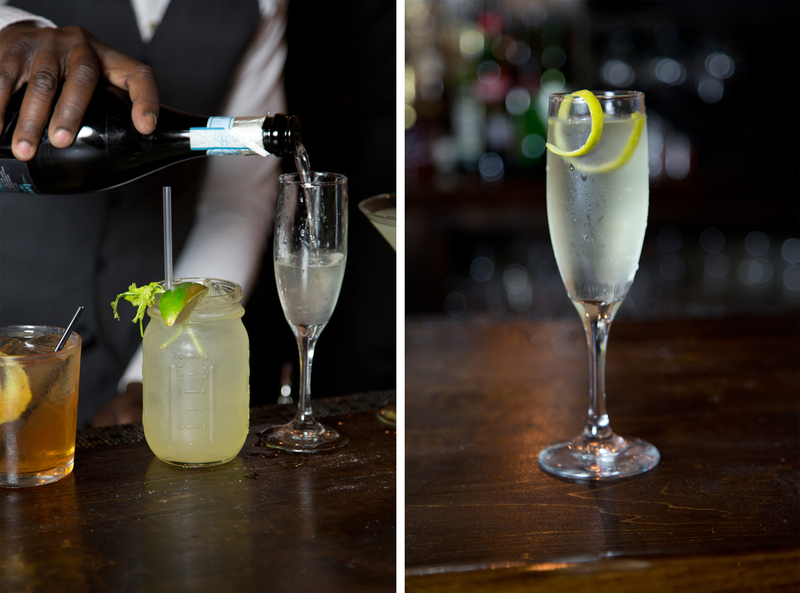 The bar is a big supporter of all things local, so when they can, they use locally produced ingredients. They also change their drink menus with the seasons, so I came just in time to photograph and sample their spring collection. If you are in North Alabama go immediately and order a Tears of Joy, you will be so happy you did. Amendment XXI was also kind enough to give me two of their signature recipes to share. 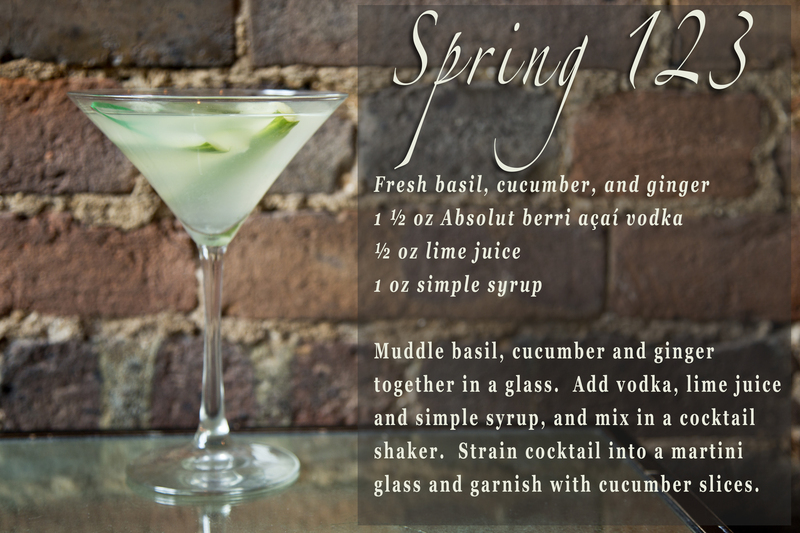 The first one is the Spring 123 and is described to be so fresh it is like a salad in a martini glass. Perfect for a hot and humid Alabama summer, which is currently peaking its ugly, sweaty head around the corner. Muddle basil, cucumber and ginger together in a glass. 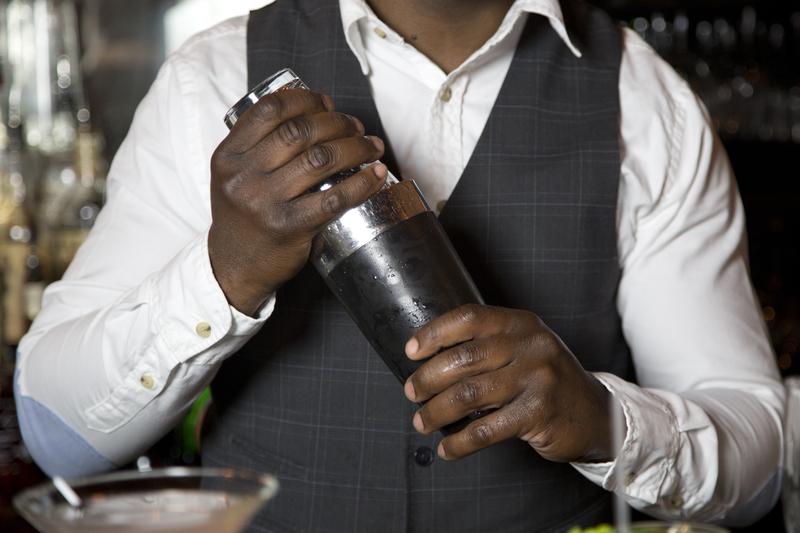 Add vodka, lime juice and simple syrup, and mix in a cocktail shaker. Strain cocktail into a martini glass and garnish with cucumber slices. 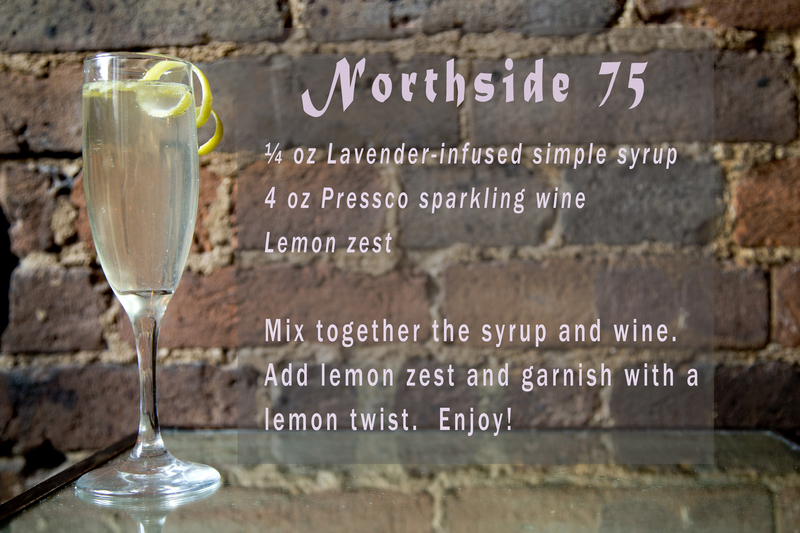 The second recipe is a the Northside 75, a drink inspired from the classic French 75. I LOVE cocktails that come in a flute. They make me feel very romantic and celebratory, so the Northside 75 was my kind of drink. Plus it is lavender flavored, which is a bonus. 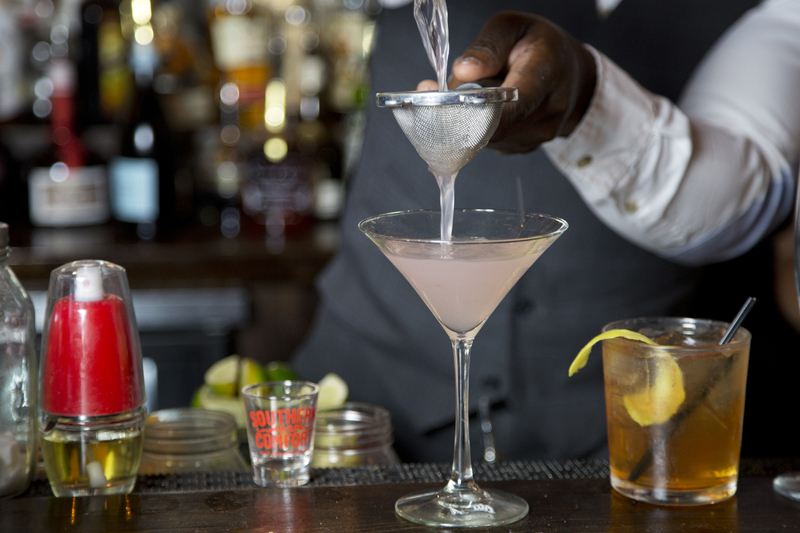 Mix together syrup and Pressco, add lemon zest and garnish with a lemon twist. 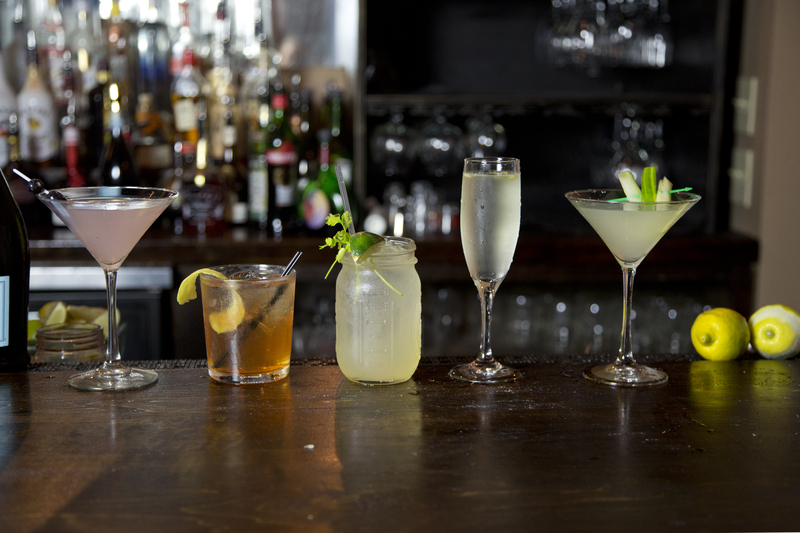 If you are local go visit Amendment XXI and drink a cocktail to celebrate 80-ish years of responsibl-ish drinking. The rest of you will have to make your drinks at home. Either way, cheers! Categories: Food Review, Recipe | Tags: Absolut berri açaí vodka, alabama, amendment 18, Amendment XXI, bar, cocktail flute, cocktails, cucumber cocktail, French 75, huntsville, lavender simple syrup, North Alabama, Northside 75, Pressco, prohibition, Spring 123 | Permalink. Beautiful photo’s , I would love to go to that bar one day. I lived in Huntsville when I was in 1st and 2nd grade, many moons ago! These look great! Can’t wait to give them a try. Thanks!! They were super yummy. Feel free to use any of my recipes in your blog I’ll link to your blog to mine, if you want.